These 2-1/4" Dia. 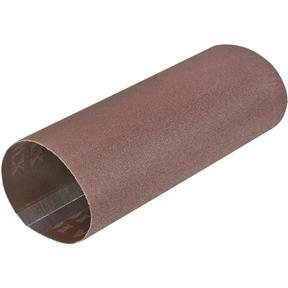 X 7-1/2" 180 grit aluminum oxide sanding sleeves are perfect for use with popular hand-held pneumatic drum sanders. Keep plenty of these consumable sanding sleeves on hand. This is the only place online that I have found that sells these sleeves for the Fox inflatable sander. They are consistently covered all over, are stiff and an excellent product. I am all the way from New Zealand a few clicks and about 2 to 3 weeks later they arrived well packaged in a box. Not like some sleeves you buy from china that comes in a padded packet and are so inconsistent.